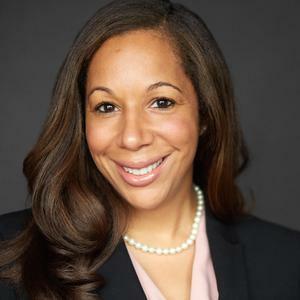 We are thrilled to welcome Tamika Turner Djondo as Vice President for CWSP. Mrs. Djondo brings experience from both the corporate and education sectors. She comes to us from Rauner College Prep, a Noble Street high school, where she served as as their Dean of 11th, 12th and College. Preceding that role, Mrs. Djondo worked as a brand manager and consultant for SC Johnson & Son, Boston Consulting Group, and Revlon Consumer Products. She received her MBA from Stanford Graduate School of Business, and her BBA in Marketing from NYU. Starting on July 9th, she will lead the joint Corporate Work Study Program of Cristo Rey and Christ the King. Her work with Presidents Clement Martin and Antonio Ortiz, as well as the CWSP teams of both schools, will strengthen the mission of the unique Cristo Rey model of education. She will serve on the Executive Leadership team of both schools. As an avid parishioner at Old St. Pat's in Chicago and first generation college student, Mrs. Djondo is particularly drawn to serving our students in a mission-driven environment. Mrs. Djondo will be in good company, as she shares a starting date with the incoming freshmen and transfer students kicking off their Summer Business Training experience. CTK is still in need of additional job partners for the 2018-2019 school year. To find out more, please contact Lillie Sellers at lsellers@ctkjesuit.org or 312-890-7871.